Prestige Bullion, a joint venture between Rand Refinery and the South African Mint, will, from August 1, sell 1 oz silver bullion Krugerrands. The silver Krugerrand will be produced in unlimited mintage, dependent on market appetite and linked to the daily price of silver. The introduction of the silver bullion Krugerrand marks the first time in its 51-year history that the Krugerrand is produced in a metal other than 22 ct gold in unlimited mintage. The new silver bullion coin will bear the same iconic design as the gold bullion Krugerrand, which features the springbok designed by Coert Steynberg on the reverse. The obverse of the coin features the bust of Paul Kruger, designed by Otto Shultz, surrounded by 200 serrations. Each coin has a face value of R1. “The silver bullion coin will allow those wishing to invest in Krugerrands an even greater choice when diversifying their portfolio at an affordable price point. Trust and consistency are the values that have made the Krugerrand great and we are confident that the new coin will quickly stand out and be counted with its peers. “The new silver Krugerrand joins Prestige Bullion’s flagship gold bullion Krugerrand, offering one complete bullion solution to investors. 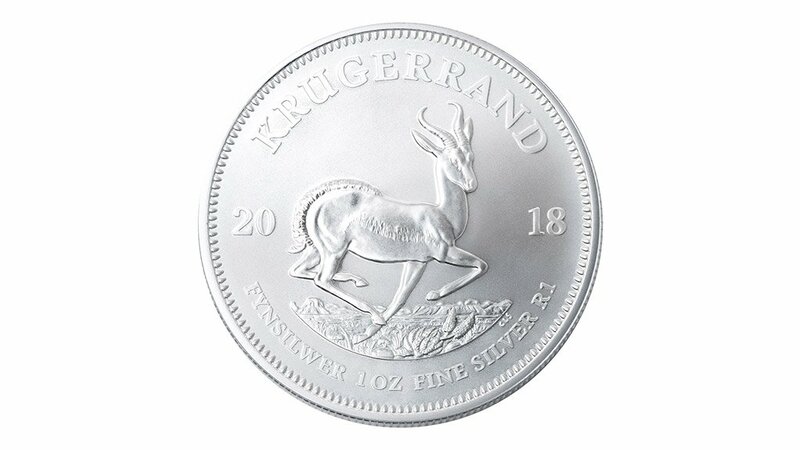 The 1 oz silver bullion coin was developed to serve as a reliable and attainable investment in the Krugerrand,” says Prestige Bullion director and Rand Refinery marketing executive head Richard Collocott.